Elkins Resort, the Northwest’s finest log cabin vacation resort, is set in the stunning beauty of the Crown Jewel of Idaho, Priest Lake. Our 30 cedar cabins feature comforts of granite fireplaces and HD TVs, surrounded by the quiet and serene beauty of Northern Idaho, offering guests a gateway into nature with a touch of elegance . 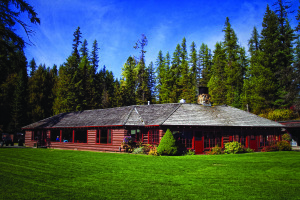 Established in 1932, Elkins Resort is located along the sandy shores of Priest Lake, tucked quietly in the Selkirk Mountain Range of the Idaho panhandle. Crystal clear lakes, old growth forests, towering granite peaks, and pristine waterfalls are just a few of the natural wonders you’ll find here. This majestic scenery invites you to slow down, sit back, and enjoy the calm, away from the hustle and bustle of everyday living. This scenic hideaway is located just two hours from Spokane, International Airport, making it easily accessible for family gatherings and quick romantic getaways.